I am feeling a lot better and thank you all for all the kind words and get well wishes--you guys are the best :) Your love and support is overwhelming and I sincerely appreciate it. On another note, I am working on a beauty post. I have gotten so many emails and comments about what beauty products or make up that I use. I can't wait to do a post and share all my secrets--I am definitely not a make up expert; but what works for me might work for someone else. I can't believe September is almost over. This means that December/Christmas is about three months away....Yayyyy! The more I see all the Christmas ornaments in stores, the more I can't wait for Christmas. I will most likely be spending Christmas or New years in Nigeria. I have not been to Nigeria in almost 4 years--I bet it will be fun and hopefully meet some of my readers and other bloggers. 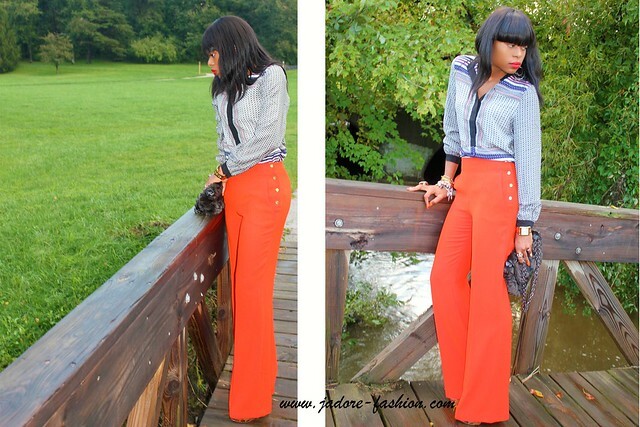 These pants are gorgeous!Love em! Great outfit. Red fits you so well! You look AMAZING! I love your look, the red pants and the shoes are phenomenal.. Thanks for visiting me! Love the red pants and the shoes. those pants are just incredibly well made and fitted. you look absolutely smashing! Those slacks are a great color and fit. 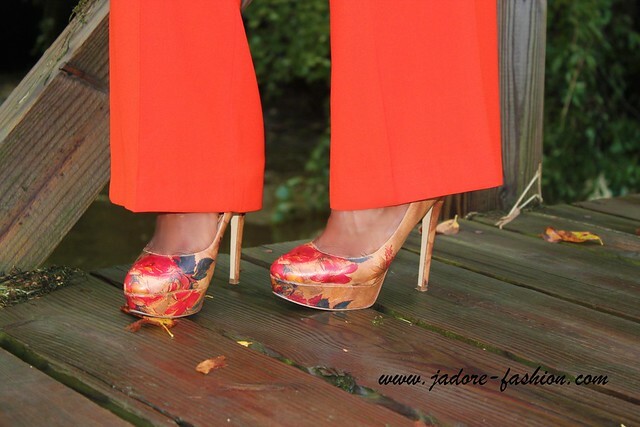 GORGEOUS shoes and love the red pants as well. Also all your bracelets! So pretty! Absolutely gorgeous look! Amazing shoes!! Love your pants! wow - awesome outfit - I loved! the pants and shoes is so incredible! this is gorgeous love the pants!! OMG! thats all I can say!!!! you killing it!!! Beautiful and such bold colors. Stunning from head to toe doll. hello, i made something special for you on my blog i hope you can see it and like it, is a post featuring my favorite blogger (you). 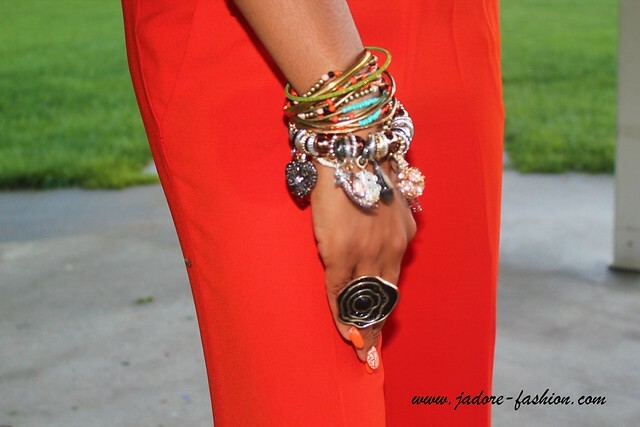 please come and check my post about my favorite blogger, YOU!! LOVELY!!! The colors are gorg! I absolutely adore what you're wearing, those pants are awesome! I just came across your blog and it's great. Would you like to follow each other? Let me know, or follow me and I'll follow back! J'adore this look a lot . Lovely styling. Those pants are so hot!!! Loving the patterned shirt with red. Great floral shoes. Cute purse. And I love that black ring. Love the pants! Just amazing! im so loving the accessories and the red pants... the shoes? killing. i admire your dress sense, keep it up! love the red! this photoshoot is great. 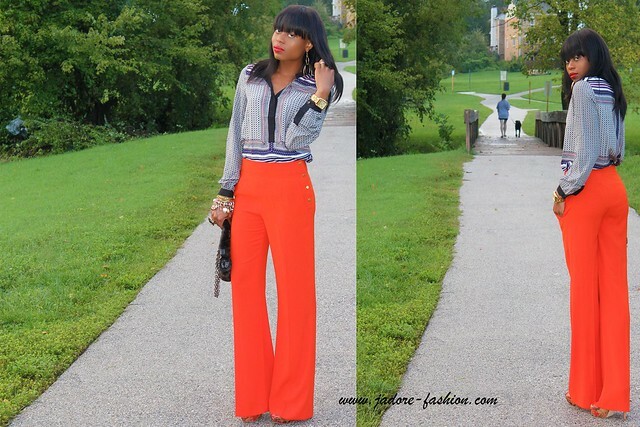 Orange pants are a MUST get on my list! You look great! Thanks for Sharing! Lucky you heading to Naija this Xmas. Meanwhile, I'll be still here. Moping. lolol. It's going on 4yrs since I haven't been back. I feel like weeping. Meanwhile, love your top. Also, I see the hint of the white cracked nail polish. Very nice. i love love love ur shoes...gosh.. wish i culd steal dem off u cz dey'd b impossible 2 get in d store nw.. Thank you so much again it's a fantastic blog ! I LOVE IT !!!! Your blog is perfect ! !